An ideal pet choice for individuals who are allergic to animals with feathers or fur, as well as reptile enthusiasts is a Gecko. 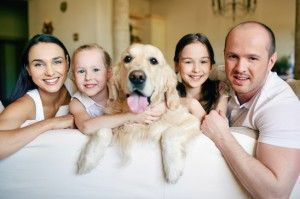 When you are learning how to take care of your new pet, the most important fact to understand is that your pet’s needs will depend on its breed as well as its unique characteristics as an individual. For example, the specific needs of a leopard gecko will be different from those of a crested , house , or leopard gecko. However, there are a few key aspects of care that are common to any type. Here are the basics of gecko care to get you started. 1. Choose your pet gecko carefully. When shopping for a pet gecko, look for captive-bred specimens that are in good health. Healthy geckos have plump tails and bright eyes, with vivid coloring and apparent alertness. Avoid any geckos that look dull or inactive, and don’t buy a gecko that has been kept in the same cage with any sick reptile. 2. Know how to handle your reptile. As with any reptile, your pet is safely handled with a firm but gentle grip, preventing it from escaping your hand while avoiding any injury to your pet. It’s important to know that you should never grab your reptile’s tail. As a natural defense to allow geckos to escape from predators, they will lose their tails if they feel threatened. Although the tail will eventually grow back, it will not look exactly the same as before. A gecko that has lost its tail is also more vulnerable until the tail is fully regrown. When handling your pet, you should also keep in mind that these creatures do not have eyelids, only a transparent membrane covering the eyes. They clean this membrane by licking it with their long tongues. Consequently, avoid injuring your reptiles eyes. 3. Arrange your gecko’s home based on the needs of its breed. Your little reptile will need a reasonably sized enclosed tank for its home. The tank will need to include a heat source, such as a heat mat or lamp, because these little creatures are cold-blooded creatures that require external heat from their environment. 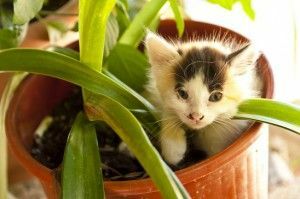 Depending on its specific breed, your pet may like to have a plant inside its tank where it can hide and rest. Give your little friend a shallow water dish where it can fill its hydration needs. Provide a walking surface within the tank using sand or tree bark that is approved for use with geckos. Many kinds of Geckos have special grips on their toes that allow them to climb easily, including upside down. Although this climbing ability can make your little reptile fun to watch, it can also mean that you’ll need to ensure that your pet cannot escape its cage. These friendly pets are primarily nocturnal animals, being most active at night when you are less able to monitor its activities. 4. Understand how to feed your pet. 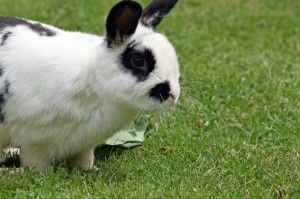 Your Pet will most likely eat primarily crickets or mealworms, which you can purchase at a pet store. You can also offer waxworms as a special treat. Typically, they eat only one or two crickets or a few mealworms each day. Before feeding the crickets or mealworms to your pet, you can dip them into a vitamin powder made for pet. In the wild, geckos have a more varied diet, and the vitamin powder helps to fill in the nutritional gaps.